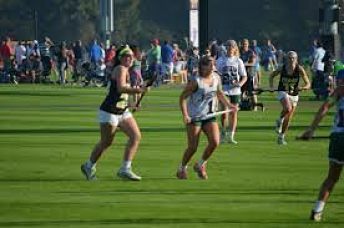 IWLCA Presidents Cup and Fall Debut Relocating to West Palm Beach! The Intercollegiate Women’s Lacrosse Coaches Association (IWLCA) and Corrigan Sports Enterprises (CSE) announced today the IWLCA Presidents Cup and Fall Debut will move to West Palm Beach, Florida for the next three years. The Tournaments will be held November 22-24, 2019 at the International Polo Club Palm Beach. The 2018 Presidents Cup and Fall Debut recently attracted 800 college coaches and 380 club teams to Orlando, Florida. The International Polo Club Palm Beach features up to 48 grass lacrosse fields at its facility. Including the move to West Palm Beach, two other IWLCA tournaments also feature new venues. Other new sites for 2019 include the Stuart Sports Complex in Aurora, Illinois for the Midwest Cup and Calvert Regional Park in North East, Maryland for the Capital Cup. Registration for the 2019 Presidents Cup will open in early April. Currently, the IWLCA’s Recruiting Tournament Series, comprised of five tournaments, and the Fall Debut are managed by Corrigan Sports Enterprises (CSE).